Earthquake Prediction: Which earthquakes fit in a circle this year. Which earthquakes fit in a circle this year. 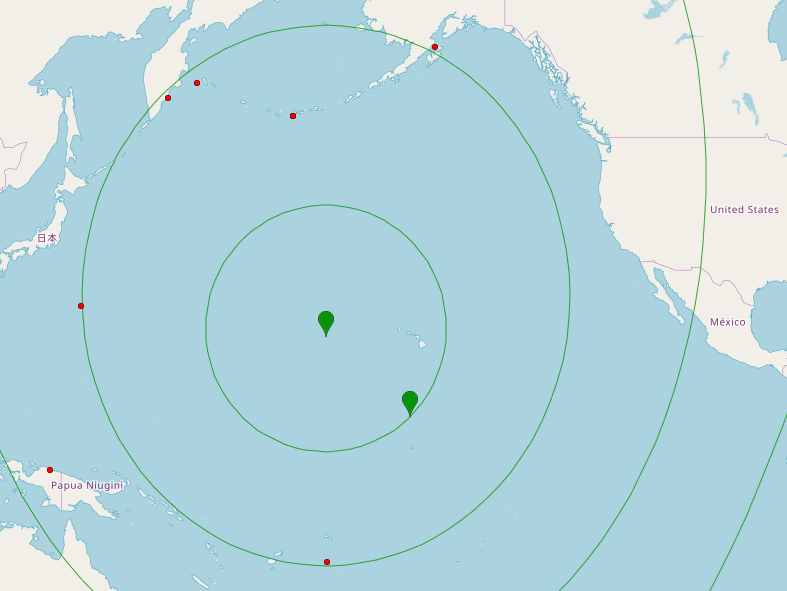 If we examne some of this year's (1-1-2019 to 20-3-2019) >5R earthquakes in the Pacific region, we get the dots in the above map. We note the interesting fact that five of them fit in quite well on a circle, as shown above.